A tourist’s delight and serene getaway, the Iberostar Fuerteventura Palace in Jandia offers the perfect recluse and delightful stay. Strictly for adults, this 5-star property is a luxury hotel. 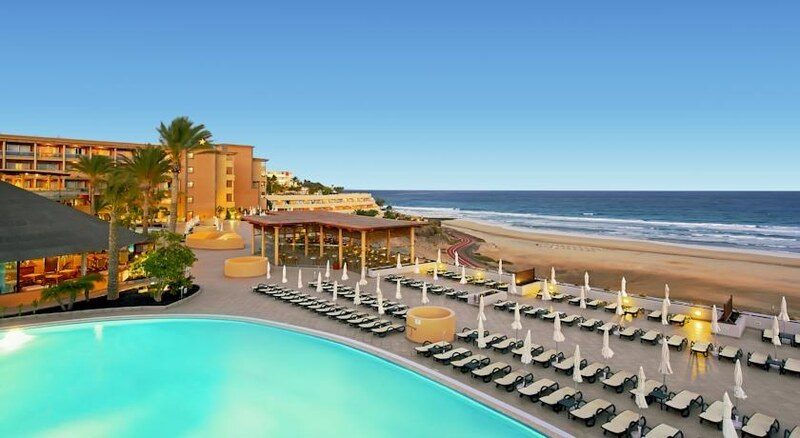 Boasting of an impressive triangular shape opening towards the sea with a swimming pool area right in the centre, the Iberostar Fuerteventura Palace is one of the finest hotels in town. Guests can enjoy panoramic and unbeatable views of the land, skies and sea in around Jandia from this property. While at Iberostar Fuerteventura Palace, do not forget to visit the beach and dive into the majestic depths of the Atlantic Ocean. You can avail assistance from the diving school experts on the sea front. The rustic and quaint little fishing village of Morro Jable is just 3km from here and is a must visit if you love to explore the country side. This relaxed hotel is located at 2.9km from the Jandia Golf Course. The popular Faro de Morro Jable lighthouse is also located at close proximity from here. The Fuerteventura Airport is about 80km from the property. The rooms are quite luxurious here. These laid-back rooms are equipped with terraces offering panoramic cityscape views. The suites are a class apart and offer free Wi-Fi facilities. The suites also add additional TV sets, whirlpool baths and 4-poster beds. Guests can relax watching their favourite programs on the flat-screen TVs in every room. Treat yourself to some snacks from the well-stocked mini bars in every room. The upgraded rooms and suites add sea views. One can find double rooms and suites for accommodation. The Star Prestige area is also quite luxurious. It is equipped with sun loungers, private sun deck and a VIP lounge making it a surreal experience, hard to resist. On the food front, guests can avail all-inclusive breakfast, lunch and dinner packages with some additional offers. Start your day with an energizing and scrumptious breakfast served every morning. A formal restaurant here caters to your fine-dining needs. This restaurant has a wonderful ambience with a piano bar and a cosy little terrace. If you are seeking a pampering massage, then the Spa Sensations here is an ideal venue to pamper your mind and body. 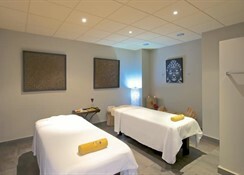 They offer massages with aromatic oils and hot stones to relieve you of stress and to enhance your beauty. One can also avail beauty treatments done with gold or purple grapes which have powerful anti-oxidants. A fitness room enables you to keep track of your fitness regime even while exercising. 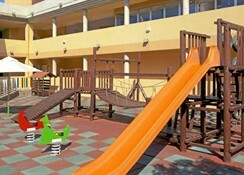 A kid’s club offers some enjoyable entertainment to the kids. 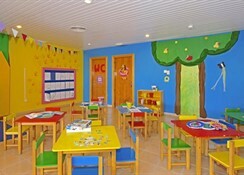 Guests can book the activity program for their kids to keep them busy and occupied. The staff is warm and hospitable. They ensure that the guests have a wonderful stay. This hotel is one of the most sought after properties in Jandia and offers a peek into the Spanish culture and traditions. 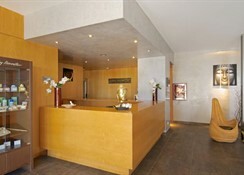 While in Jandia, do book yourself a stay here and revel in the comforts and luxuries of the hotel.